A group of young prisoners deemed almost ready for release are sent on a 3 month rehab program to the remote town of Cawdor to participate in a stage production of Macbeth. Created, produced and acted by them, they live and work at the theatre to complete the play under the watchful eye of failed thespian and stage producer Lawrence O’Neil (Cary Elwes) and his right hand man/drill instructor Chuck. 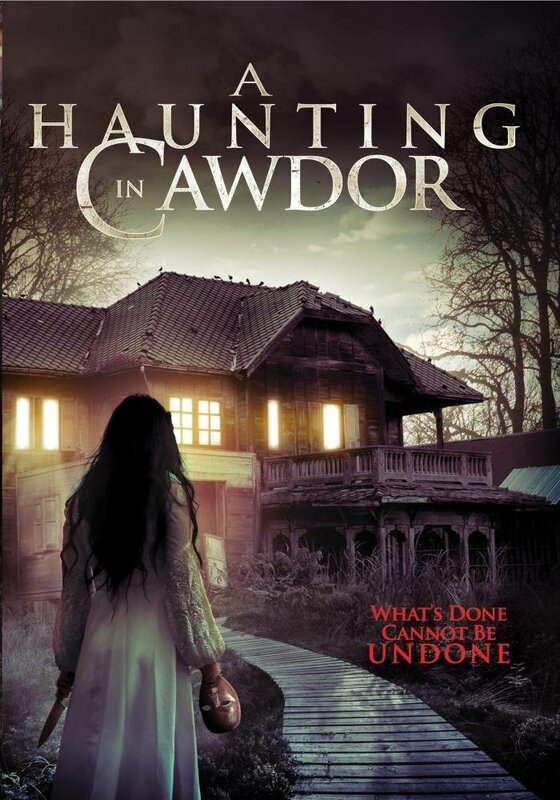 Leading lady, Vivian, is a troubled soul with a dark past who see’s ghosts and discovers an unpleasant occurrence from a past production of Macbeth at Cawdor, meanwhile a malevolent cloaked figure is stalking the group. This doesn’t really know if it wants to be a slasher or a ghost movie and falls flat at attempts on both. For starters it is way too long with a vast gaping chasm of boredom with very unlikeable characters apart from Chuck who is quite amusing. It relies on cheap jump scares that get tiresome very quickly. It’s so easy to guess who and what the cloaked figure is and it has a pitiful body count with the tiniest amounts of gore. I’m ashamed to admit to falling asleep a few times whilst watching it which meant I then had to watch it again in case I had missed a good bit…… unfortunately that never came and I was left wishing I had spent my time doing anything other then watching it again. The acting from the main characters wasn’t completely awful but I thought that Shelby Young who played Vivian and Michael Welch as Roddy did a much better job in their roles from American Horror Story and Z Nation. This film does not do either of them any favours! The camera work is ok but the ghostly visions are quite amateur and the gore non existent. The only thing going for this film is the music which is very effective and atmospheric with a very beautiful opening and closing song.